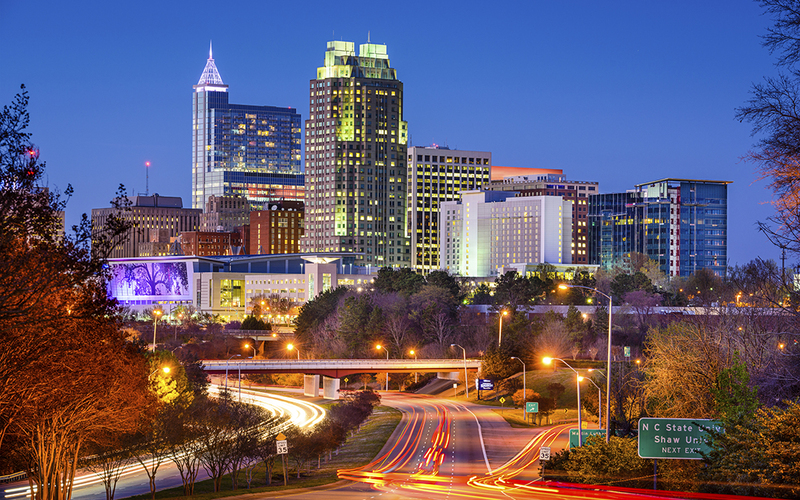 Raleigh, N.C., was among 120 cities in the report. Roads were the top infrastructure concern cited by 120 U.S. mayors in “State of the City” speeches from Jan. 1 through April 3, according to a new report by the National League of Cities. Mayors of cities large and small cited roads in 48 percent of the speeches, compared to 36 percent for other public works, 32 percent each for pedestrian and water infrastructure, and 30 percent for bicycle infrastructure. Road paving ranked as the third overall “specific policy or program” mentioned in the speeches, behind public safety issues involving police departments, 73 percent, and fire departments, 56 percent. Job creation was fourth at 39 percent, followed by the crime rate, 38 percent, to round out the top five. See the full “State of the Cities 2017” report.